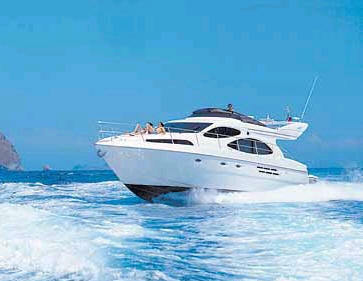 The Azimut 46 motorboat based in Croatia is avaialble as a bareboat charter yacht. 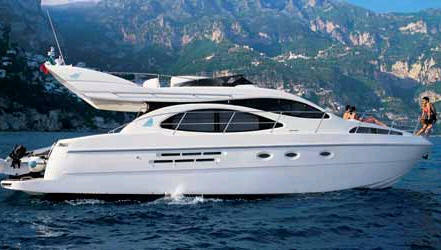 This is the philosophy of the Azimut 46...A yacht where your guests are treated like true VIP's. Convivial and designed for entertaining, this wonderful motor cruiser is a statement in elegant living, impressing all who come aboard. 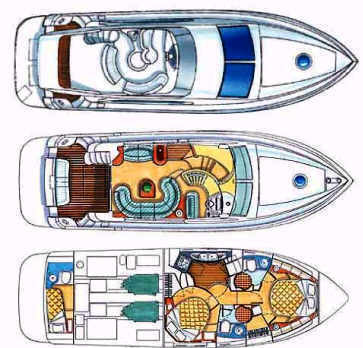 The Croatia Azimut 46 bareboat motorboat has three cabins in total - two double and one signle cabin located aft. 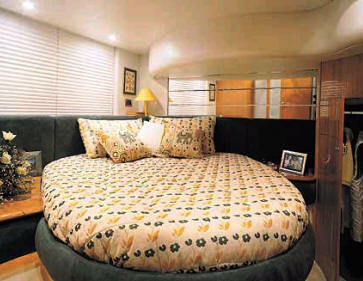 The VIP guest cabin offers a glorious queen size bed and is finished in deep lacquered wood. 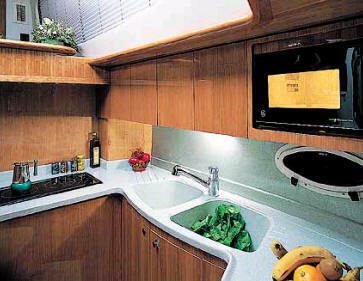 Each cabin has a private ensuite head and showers offering incredible privacy for a boat of this size. 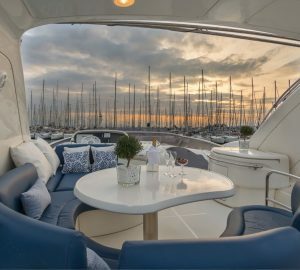 The Azimut 46 Croatia motor boat is fully equipped with complete navigational electronics including VHF, radar and autopilot. On deck, there is an electric anchor winch and a bathing platform with swimming shower. 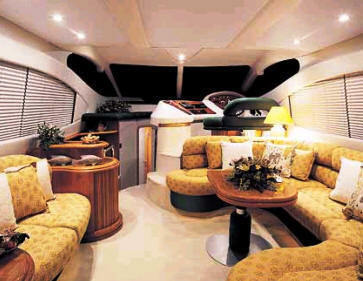 For onboard entertainment, there is a CD player and radio, television and video. The galley is fully equipped to cook up a feast.